Hollywood has rolled out many distinguished actors and actresses of great repute who have made indelible marks in the entertainment world. The veteran actor and director, Robert Duvall is one such acclaimed actors. Robert proved his mettle by migrating from supporting roles to lead roles and has succeeded in winning millions of fans all over the world. The Hollywood legend has appeared in several classic movies including M*A*S*H, To Kill a Mockingbird and The Godfather I & II. Robert’s unique skill of completely plunging himself into his assigned roles has earned him some prestigious awards and accolades in the entertainment industry including a National Medal of Arts which was awarded to him by President George W. Bush in 2005. He has bagged several Oscar nominations and has won one for his 1983 film Tender Mercies. On the 18th of September 2003, Robert Duvall received a Star on the Hollywood Walk of Fame. 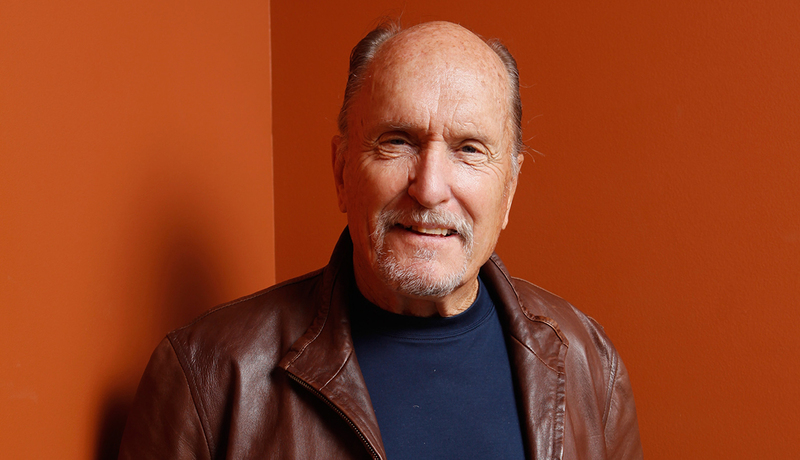 Robert Selden Duvall was born in San Diego California on the 5th of January 1931. His father, William Howard Duvall, had an established career in the military and retired at the rank of an admiral. His mother, Mildred Virginia earned a living working as an amateur actress. An interesting fact to note is that Robert’s mother is a direct descendant of Robert E. Lee, a character which Robert portrayed in Gods and Generals in 2003. The veteran actor was brought up alongside two brothers – John Duvall and William Duvall. He attended Principia College, Illinois for his tertiary education. At Principia College, he majored in Liberal Arts. After his graduation in 1953, Robert Duvall joined the army for a couple of years before enrolling with the New York Neighborhood Playhouse where he studied under the tutelage of Sanford Meisner for two years. During his years at Neighborhood Playhouse, he met Dustin Hoffman and Gene Hackman. The Hollywood superstar has a record of four marriages and three divorces. His first attempt at matrimony was with Barbara Benjamin whom he met on the set of the movie To Kill A Mockingbird. The duo tied the knot on the 31st of December 1964 and stayed together for eleven years but unfortunately, the marriage ended in 1975. Robert was single for almost seven years after the end of his first marriage but in 1982, he married his second wife, Gail Youngs. After their nuptials, their marriage lasted for four years before it hit the rocks in 1986, leading to Robert’s second divorce. The iconic actor’s third nuptials was with his longtime girlfriend, Sharon Brophy, an ex-dancer whom he dated from 1989 to 1991. Their relationship, which culminated in a marriage in 1991, was sustained till 1996 before it ended in a divorce. 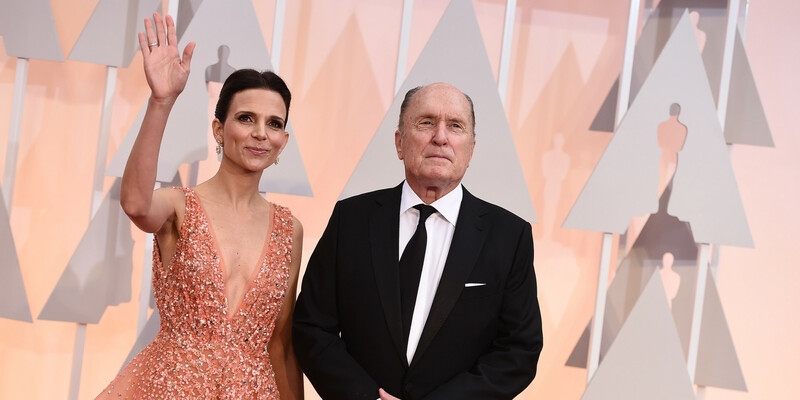 Robert Duvall’s current wife is Luciana Pedraza whom he dated for seven years before their marriage on the 6th of October 2004. The couple started living together in 1997 before getting married in 2004. One notable thing about this union is that Luciana is 41 years younger than Robert, but they seem to be happy together in spite of their age difference. They have consistently appeared together in public and have embarked on several charity projects as a couple. Although Robert Duvall has been married four times, the veteran thespian has not fathered his own biological child, but he has two stepdaughters, Nancy Horn and Suzan Benjamin, from his past marriages. Robert Duvall has been active in the entertainment industry since 1952 and has attained the status of a legend in Hollywood. The iconic actor’s total net worth has been pegged at a whopping $70 million, though his annual salary is not stated. The Hollywood superstar notably financed the 1997 movie, The Apostle after it was rejected by several studios. He put up $5 million of his personal money to ensure the movie, which he wrote, directed and produced, got made. Luckily for the actor, the film went on to be a critical and commercial success; earning $21 million against its $5 million budget and scoring the acclaimed actor an Academy Award nomination. It is safe to say that money was well spent. Robert Duvall, like many celebrities, owns several properties. The actor owns a house in Argentina which he visits at least five times every year. He also owns a gigantic estate located in rural Virginia. He has also been active in the philanthropic front, along with his fourth wife, Luciana. He founded the Robert Duvall Children’s Fund with the main focus of rendering assistance to Northern Argentinian families. The couple has also supported ‘Pro Mujer’ – a non-profit organization dedicated to helping the poorest women in all of Latin America.